Does The Man Expect A Certain Reaction To A Proposal? This post is written by Pete. For all his posts, check out this link. Okay fellas, let's have a kinda little serious chat for a minute. If you've actually gotten to the point where you're getting down on one knee to ask your girl for her hand in marriage, I assume you've known her long enough to know how she is gonna react when you "pop the question." Her reaction will match her personality. For example, does your significant other cry over every-freaking-thing on TV? Like when there's a commercial where there's a family doing anything even remotely happy, does your significant other say "Awwwww" as her eyes well up with tears? The commercial can be for auto insurance or cereal. It doesn't matter. Get the tissues ready. Oh and holy crap, if any part of the commercial is in slow motion? Better put on a life jacket and have a kayak handy. Conversely, is your significant other someone who would say something like "Seriously? Me and Tiffany are going to get spray tans that day!" when you tell them your mom just died and the funeral is in two days? If so, I'm pretty sure she would probably be annoyed when you propose because it's not at a time that's convenient for her. With that being said, I think ideally every guy hopes that his significant other will display some form of happiness when he proposes to her. How could we not have that hope, that expectation when the image of a woman crying in joy, the man on one knee as he hoists a ring up to her hand, is what we're conditioned to believe is the way a wedding proposal is destined to unfold? 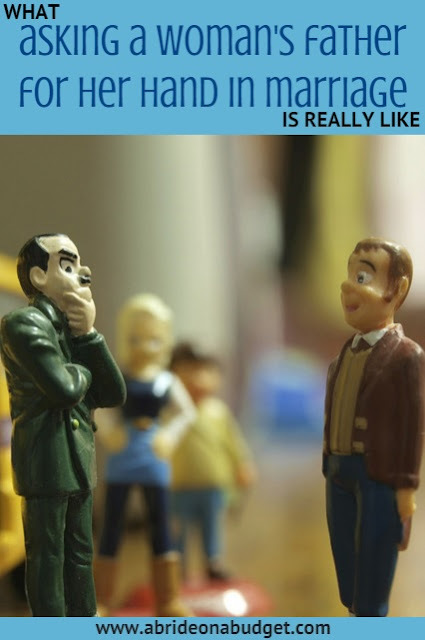 Advertising makes it as if every human being reacts to things the same way. Expecting that your significant other will weep with joy and mutter the words "Oh my god yes darling YES!!!" through sobs and tears may set you up for disappointment and perceived failure. That's why, fellas, you need to know your significant other. Happiness and joy can be expressed in a great number of ways. BRIDAL BABBLE: What was your (or your significant other's) reaction to the proposal? 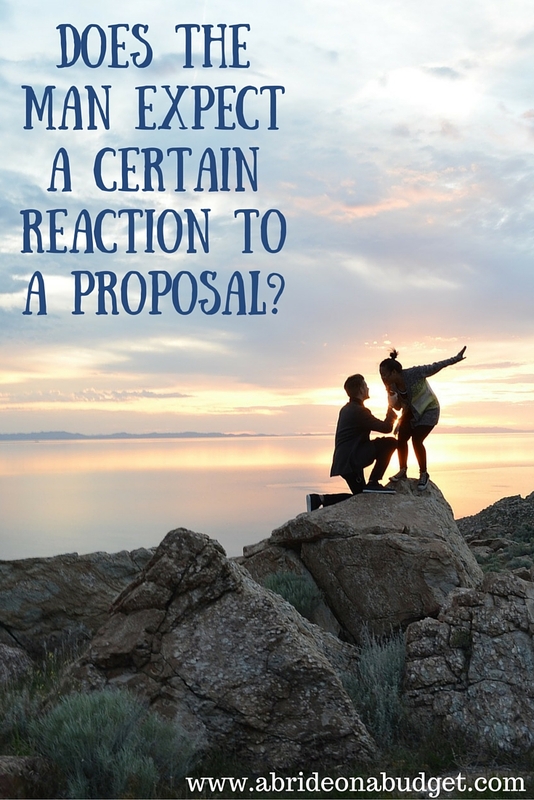 Are you getting ready to propose? What Asking A Woman's Father For Her Hand In Marriage Is Really Like. You make a great point! When my boyfriend asked me to move in with him I was speechless and then I cried! I felt so bad because he thought I was upset but I was actually really happy! When David proposed, I immediately said yes. However, we had been joking about it back and forth for a while. I even got down on one knee with a pull tab ring and proposed. The first time my husband asked me to marry him I said no. He was surprised, but not shocked. My late husband didn't propose to me we just talked about it and went ring shopping and got engaged. Had a great marriage and three beautiful boys. I am now dating again and if I get proposed to I will probably cry tears of happiness.